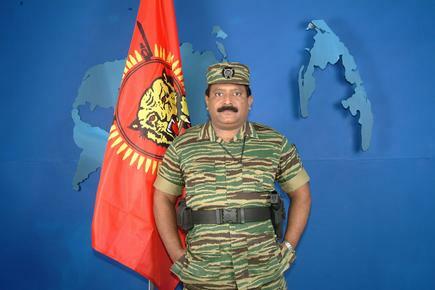 Mr Vellupillai Pirapaharan, the leader of the Liberation Tigers of Tamil Eelam (LTTE) in his annual statement commemorating the Heroes’ Day has vehemently rejected accusations made by President Chandrika Kumaratunga that his organisation was strengthening its military power and preparing for war. “I wish to deny categorically that there is any truth in these allegations. These false allegations are levelled against us to tarnish the credibility of our liberation organisation and to disrupt the peace process,” he said. 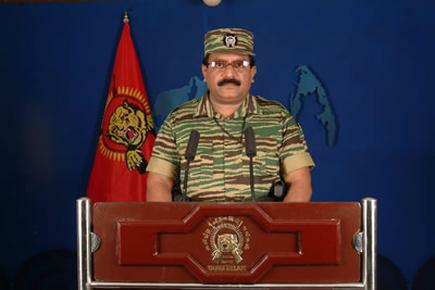 The LTTE leader also firmly denied allegations that the recent proposals submitted by his organisation to establish an interim administrative council in the Northeast constitute the foundation for the creation of a separate state. “Our proposals do not constitute a framework for a permanent final solution. Our draft proposals deal with an interim arrangement. It is true that our proposals for an interim administrative council calls for substantial self-governing authority without which massive programmes for the resettlement and rehabilitation of hundreds of thousands of displaced people and other major development projects could not be undertaken,” Mr Pirapaharan explained. He further argued that some of the features of self governance have been misinterpreted as a project for a separate state. Characterising the current power struggle in Colombo between the President and the Prime Minister as a typical repetitive historical confrontation between the two major Sinhala political parties, Mr Pirapaharan observed that this phenomenon erupts whenever one party in power attempts to seek a solution to the Tamil ethnic conflict. “This tragic political drama has been continuing for the last fifty years aggravating the plight of the Tamil people,” he said. “There is no coherent structure in the form a government in the Sinhala nation. The power of the state is torn between the heads of the two most powerful Sinhala political parties. The Presidency and the Parliament are in conflict with each other. Ranil Wickremasinghe’s administration is severely weakened and paralysed following the President’s take-over of the Ministries of Defence, Interior and Media. The power struggle between the two leaders has resulted in the de-stabilisation of the state and the peace process has come to a standstill. Frustrated by the confused situation the Government of Norway has suspended its facilitatory role. Because of this sudden development in the south, the conditions of peace are endangered. The peace talks as well as the peaceful resolution of the ethnic conflict are threatened. The Tamil speaking people and the international governments committed to peace are concerned and disappointed over this crisis. President Kumaratunga has put forward two reasons for her intervention. One is that the national security and sovereignty of Sri Lanka are threatened as the LTTE has been strengthening is military structure and preparing for war. Secondly, the government of Ranil Wickremasinghe has provided too many concessions to the Tamil Tigers. I wish to deny categorically that there is any truth in these allegations. These false accusations are levelled against us to tarnish the credibility of our liberation organisation and to disrupt the peace process. Our organisation, as well as our people do not want war. We want peace and we want to resolve our problems through peaceful means. We are deeply committed to the peace process. It is because of our sincere commitment to peace that we are firmly and rigidly observing ceasefire. It is our organisation that took the initiative of declaring the cessation of hostilities unilaterally and observing peace for the last two years tolerating the provocative actions of the state’s armed forces. There is absolutely no truth in President Kumaratunga’s accusation that we are preparing for war by procuring weapons, recruiting on a large scale and strengthening our military machine. We are engaged in the task of maintaining peace but certainly not preparing for war. It is true that we have been recruiting on a small scale since we needed manpower for our administrative structures. The President has distorted and exaggerated this matter and is trying to create fear among the Sinhala people that we are preparing for war. The ceasefire has not created conditions of peace and normalcy in the Tamil homeland. Oppressive conditions of alien military occupation prevail here. The Sri Lankan armed forces are refusing to fulfil the conditions and obligations of the Ceasefire Agreement. As the military occupation continues in large areas of civilian settlements under the cover of High Security Zones several thousands of people are subjected to enormous suffering, denied the right to return to their homes and villages. Furthermore, the Tamil civilians continue to suffer harassment and persecution by the occupation army. Though the war has been brought to an end the suffering of our people continues. Our people have not yet experienced total peace and conditions of normal life. Yet, there is total peace and normalcy in the Sinhala nation. There is also improvement in the economic life of the people. While the Sinhala nation enjoys the positive benefits of the ceasefire the tragic oppressive conditions of the Tamils continue. This is the current existential reality. Our organisation has not been rewarded with too many concessions during these two years of ceasefire as accused by President Kumaratunga. Instead, our organisation faced severe losses. During the ceasefire period, two of our merchant ships were attacked and destroyed by the navy in the international waters. Furthermore, several of our fishing trawlers were destroyed. As a consequence of these events we lost twenty-six of our Sea Tiger cadres including senior commanders. Though these provocative actions pushed us to the brink of tolerance, we maintained calm and observed peace. Such behaviour clearly demonstrates our serious commitment to peace. The peace talks between our liberation organisation and the government of Ranil Wickremesinghe, which started in Thailand during September last year, have failed to make any concrete progress. Resolutions and decisions taken during the six rounds of talks that lasted more than six months were not implemented. The sub-committees, which were formed, to deal with the issues of de-escalation and normalisation and for the resettlement and rehabilitation of displaced became defunct. Our efforts to negotiate with the government to resolve the monumental problems faced by our people became futile. Having ignored the more serious, critical existential issues of resettlement of the displaced, reconstruction of the war damaged infrastructure and the re-establishment of normalcy in the Tamil homeland under military occupation, the government representatives as well as the facilitators devoted their main attention to human values and norms and on guidelines and roadmaps towards a final solution. As a consequence the negotiating process moved in a different direction circumventing the problems and aspirations of our people. In the meantime, Ranil’s administration was only interested in projecting the peace process as an ideal model to attract aid and loans from donor countries to build up the economy that collapsed as a consequence of war. At the same time, the government was also engaged in a plan to set-up an international safety net with the assistance of certain countries. This strategic ploy of Wickremesinghe’s government allowed the space for the increased interest and intervention of several international governments in the peace initiative as well as in the negotiating process. Some countries have even stipulated parameters within which the Tamil national question has to be resolved. It is because of these international interventions that the peace negotiations became more complex. It was during these circumstances that a crucial meeting of donor countries took place in Washington in April this year marginalizing our organisation. As the main party in conflict enjoying equal status in the peace process, we were disappointed and saddened by such humiliation. It is because of these factors we decided to suspend our participation in the talks and to review the multiple dimensions of the entire peace process. It is not feasible to find a permanent solution to the Tamil national conflict immediately within a short period. It may take quite a long time. But the existential problems faced by our people are very urgent and they cannot be postponed for longer period. Faced with the urgent humanitarian needs on one side and the issues of resettlement, rehabilitation and reconstruction on the other, the immense, complex problems faced by our people necessitates immediate solutions. Having examined these issues in depth, we realised the urgency of setting up an interim administrative authority in the Northeast. We are of the opinion that the proposed interim administrative authority should be an effective mechanism capable of restoring conditions of normalcy in the military occupied Tamil homeland and to undertake the huge tasks of resettlement, rehabilitation and development works efficiently and expeditiously. It is on this basis, we urged the government to submit draft proposals for an interim administrative structure insisting that it should be vested with substantial authority. We also informed the government that we were prepared to resume negotiations if concrete set of proposals were presented to us. I also emphasised the importance of creating an interim administrative set-up with substantial authority when I met the Norwegian Foreign Minister Mr Peterson. I also explained to him the necessity of establishing such an administrative body to reconstruct our nation devastated by twenty years of war and to rebuild the shattered lives of our people. In response to our request, the government submitted, one after the other, two sets of draft proposals. The interim council envisaged in these proposals were not invested with adequate authority as we suggested. At the same time the role of our organisation was also not clearly defined. The proposals envisaged a development orientated administrative structure with limited powers. Therefore, we rejected these proposals as unacceptable. Thereafter the government submitted a third set of proposals for our consideration. Though these proposals were unsatisfactory, we did not reject them. We realised that the government was hesitant to put forward a concrete set of proposals as expected by our organisation that would satisfy the aspirations of our people. At the same time, we felt that a misconception might arise as if the LTTE was continuously rejecting all the new proposals put forward by the government. Therefore, we decided not to reject the latest draft proposal out right but to submit our counter proposals to create an interim administrative council with substantial authority. We were not in a hurry to formulate our draft proposal. Since it was the first time we were forwarding our proposals in a written form we wanted to formulate a concrete, practical and original framework though it was an interim set up and might involve time in formulation. We also wanted this framework to have a proper mechanism to find solutions to the complex existential problems of our people. Therefore, we formulated our draft proposals consulting different sectors of people at different levels on a wider scale. We also consulted wider sections of the people of Tamil Eelam, our legal and constitutional experts abroad and international scholars. There is no need for me to elaborate in detail the draft proposals we submitted to the government for an Interim Self-Governing Authority. The draft has already been released through the media for everybody’s scrutiny and analysis. Though our draft proposals have generated a lot of controversy and confusion, our effort towards a negotiated settlement was welcomed by several countries. Some countries welcomed our attempt, for the first time, to put forward our ideas in writing in a clear and comprehensive form. Ranil’s administration did not reject our proposals but rather agreed to resume talks on that basis. But at the same time, the Sinhala racist forces are vehemently opposed to our draft proposals. Sinhala racist political parties and the media are raising critical voices. Critical reviews are coming from the Indian media world and from the Indian political analysts. In a statement released on behalf of the opposition parties, Mr Lakshman Kadirgamar presented a vehement critique of our proposals claiming that Sri Lanka’s sovereignty was under serious threat as our draft, according to him, contains elements for a separate state. What surprised us was that within a few days after the release of the draft proposals President Kumaratunga took over three important Ministries that functioned under the government of Ranil Wickremesinghe. Whatever the reasons she attributes to her actions, it has now become a universal truth that she took this serious action as an immediate response to our draft proposals. As a consequence of her sudden intervention, Ranil’s regime has become paralysed without power and the peace process severely endangered. The allegations levelled against our draft proposals that they aim to create an independent Tamil state or that they contain stepping stones for separation are not true. Our proposals do not constitute a framework for a permanent, final solution. Our draft proposals deal with an interim arrangement. It is true that our proposals for an interim administrative council call for substantial self-governing authority without which massive programmes for the resettlement and rehabilitation of hundreds of thousands of displaced people and other major development projects could not be undertaken. At the same time regional administrative functions i.e. law and order, administration of justice, allocation of funds and distribution of lands also could not be effectively executed. In this context an important factor has to be taken into serious consideration. That is, large areas of the Northeast are already under our effective jurisdiction and efficiently administered by us. I wish to point out that this is the factual reality. Today, harsh oppressive conditions prevail in the Northeast with the continuous military occupation of our lands and persecution of our people by the armed forces. As normalcy has not returned the suffering of the civilian masses continues. Our people face urgent humanitarian needs as well as serious existential problems. Therefore, we have presented this draft framework as a concrete structure to find just and reasonable solutions to these problems. Our draft framework has progressive, constructive and original elements. This proposed administrative structure is invested with self-governing authority so that the majority Tamils as well as the Muslims and Sinhalese living in Tamil Eelam could promote and enhance their political, social, economic and cultural life. But we regret to note that some forces are attempting to disrupt the peace process by distorting and exaggerating some features of self-governance found in our draft framework and interpreting them as a project for a separate state. We have presented our ideas for an interim administrative authority as a counter programme to the government’s proposals and as a basis for negotiations. Our initiative undertaken with an honest and sincere commitment to the peace process has unleashed a political storm in the south. Sinhalese racist forces are up in arms against us. The power struggle that erupted between the heads of two major political parties of the Sinhala nation has shaken the very foundation of the state structure. Sinhala racism, which has been denying the rights of the Tamils, now stands exposed with its mask torn apart, revealing its true, ugly face to the world. As a tragic drama without ending, the Tamil ethnic conflict continues forever. Whenever the party in power attempts to resolve the Tami issue, the party in opposition opposes it and derails the effort. This mode of conflict continues even when the opposition becomes the ruling party and attempts reconciliation. This Sinhala political drama with its typical historical pattern has been staged regularly for the last fifty years. The directors of this bazaar drama are the two major Sinhala political parties. Though the main actors have been changing over time the theme of the story is the same. The current political crisis in Colombo is an open enactment of this absurd drama. As a negative consequence of this chess game, in which the Tamils are used as pawns, several peace efforts have failed; several peace negotiations collapsed, several peace agreements torn apart and several peace pacts became defunct. As such, the Tamil conflict continues without resolution. The tragic life of our people continues. We cannot allow the life and potential of our people to be systematically destroyed in the spider web of Sinhala chauvinism. Having renounced violence, we have been making every effort through non-violent means to promote peace and reconciliation. The international community is fully aware of this. But if the Sinhala chauvinistic ruling elites continue to deny the rights of our people and oppose reconciliation and if the conditions of oppression continue, we have no alternative other than to secede and form an independent state invoking the right to self-determination of our people. We urge the Sinhala political leadership not to create the objective conditions that would drive our people to seek this ultimate option,” Mr Pirapaharan declared.